Looking for a Budget Hostel in Sydney? If you’re visiting Australia and are looking for the best Sydney accommodation that’s great value for money and centrally located, Maze Backpackers is the perfect choice. Situated in the heart of Sydney’s CBD, when it comes to hostels in Sydney, Maze Backpackers makes it easy to navigate this incredible city, with transport options close by and loads of places to check out on foot. At Maze Backpackers we like to take care of our guests, in a safe and secure environment. There’s a TV lounge room you can relax in, GX2 internet so you can keep in touch with friends and family back home whenever you like, and a fully equipped kitchen so you can easily prepare your own meals. We offer free linen so you don’t need to bring any with you and take up valuable space in your bag. We also have a coin operated laundry, driers and ironing facilities all on site. Our lively sociable dining area is great for mingling and meeting other travellers. After you’ve enjoyed a delicious feed you can enjoy a friendly game at our free pool table. If you're backpacking and looking for work, we also have a notice and jobs board which is updated regularly with offerings for travellers. Major Sydney supermarket and shopping centre just 30 seconds away! With a cash machine next door and a 30 second walk to the nearest major supermarket and shopping centre, you don’t have to go far to buy the essentials to cook your meals. 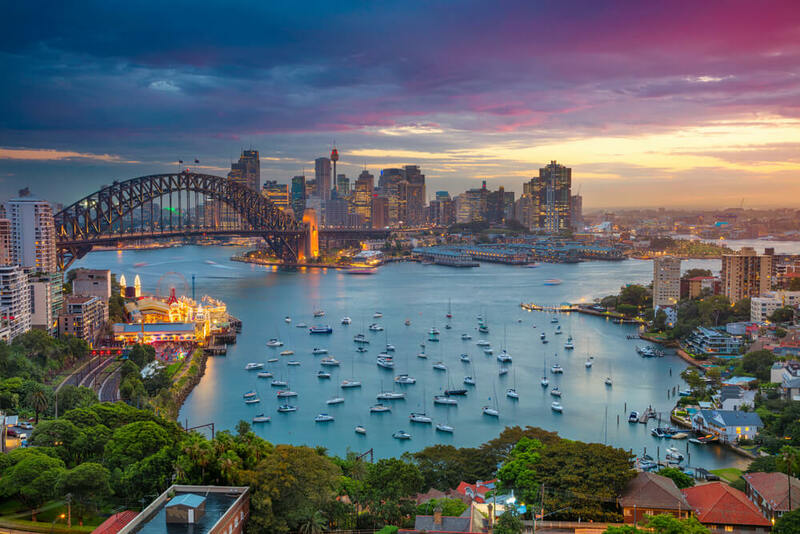 When it comes to cheap hostels in Sydney, you not only want to find accommodation that is good value for money, but also somewhere to stay that is central, making it the perfect home base to explore Sydney. It’s the combination of our competitive rates and our great location that makes Maze Backpackers a favourite among international travellers. Travelling from Germany or Canada and want a cheap hostel with all the extras? We are so excited to have you stay with us that if you book a 3 or more nights stay, you can have a free shuttle ride from the airport. Whether you’re travelling from Denmark, Sweden or Finland, we know all backpackers have one thing in common – they all love a good deal and a freebie is the best you can get! At Maze Backpackers, we offer a range of free activities for our guests because let’s face it – we all like free things! From complimentary daily activities to free movie nights, free weekly barbeque, free weekly chicken and rice and free pancakes on a Sunday morning, Maze Backpackers have lots of freebies on offer for our guests. If you’re looking for a cheap hostel in Sydney that offers exceptional value for money, Maze Backpackers is the perfect choice. There are plenty of Sydney hostels, but only Maze Backpackers offers the outstanding atmosphere, facilities, services and freebies like we do. Plus we are located right in the heart of the city, so getting around is so easy and cost effective too. When it comes to Sydney accommodation, being central to the city means that you can get around with ease and explore more of Sydney by foot. This is truly the best way to really immerse yourself in all that the city has to offer. Before you pack up your bag, here are some important things to know before visiting the spectacular city of Sydney. Sydney, like all of Australia, uses Australian Dollars. For the most part, shops, and restaurants will have Eftpos facilities available where you can use your existing debit card, however, some smaller cafes and independent shops may have a $10 minimum for Eftpos transactions. So, if you’re a fan of a morning coffee, you may want to consider buying some Australian dollars before arrival. Alternatively, you can use your existing debit card to access Australian cash from our ATMs (Automated Teller Machine). If you don’t want to use your international debit card in Australia due to high international purchase/ATM fees, make sure to load up a prepaid travel card before your arrival or at Sydney International Airport. This is a great option to not only avoid unwanted fees, but to keep you on a budget during your stay. If on a working holiday, it is easy to set up a bank account when you arrive. One of the most important items to pack (aside from your passport) are electrical adaptors. If you plan on charging your smart phones and devices, you’ll require an Australian/New Zealand electrical adaptor. If you have more than two devices to charge during your trip, consider purchasing one adaptor and then packing an electric power board from home. Although adaptors are sold in airports, their prices are highly inflated. So, be sure to purchase your adaptors well in advance, either online or at your nearest stockist. In Sydney, they use the Opal card system: a preloaded public transport card that acts as your electronic ticket for all buses, trains, ferries, and light rails across the city. The cards are free and easy to obtain with kiosks at the international airport, as well as vendors at all newsagents. If you opt for a manual top-up card, be sure to top-up your balance at any train station or newsagency before running for the next train! Aside from public transport, Sydneysiders use Ubers and taxis to get around the city. Although public transport is generally a much cheaper and economical option, late at night public transport runs less frequently, so it might be a good idea to book an Uber or taxi back to your accommodation after a night out. If you’re coming from the airport, Maze Backpackers offer a free airport transfer for hostel guests staying over 3 nights, or $14 for guests staying under that. This works out to be cheaper than the train, as all train tickets to and from the airport incur an additional fee on top of a regular adult fare, which ends up to be around $17. What makes Sydney so incredible and diverse is its mix of cultures, unique suburbs, breath-taking beaches and countless activities. 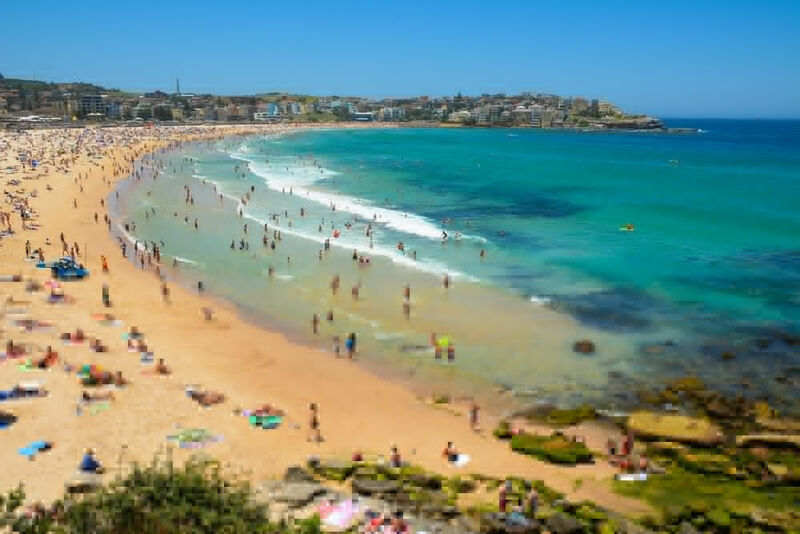 The most popular beach is Bondi Beach, where millions come each year to surf and enjoy the sun. And once you’ve enjoyed the waves, why not do the Bondi to Coogee Coastal Walk? This 6 km walk will not only keep you fit while you take in the coastal scenery, it’ll also lead you to the popular and quirky Coogee Pavilion, where you can indulge in a delicious meal while resting your weary legs. Aside from featuring in Coldplay’s ‘A Sky Full of Stars’, Newtown is the home to Mary’s (possibly the best burgers in Sydney), Sydney’s eclectic scene, independent boutiques, second-hand bookstores, and more quirky bars and clubs than you can count. It’s well worth spending a day there, even if just to walk in the steps of Chris Martin. Sydney Harbour, or Circular Quay, is what Sydney is known for. Whether you climb the harbour bridge, see a show at the Opera House, catch a ferry over to Taronga Zoo, or visit the Museum of Contemporary Art, you’ll fall in love with the breath-taking views and unique architecture. One of the first things you’ll notice about Sydney is how culturally diverse and inclusive it is. However, Sydney still maintains a very distinct laid-back culture. Some foreigners may find Australians to be quite blunt when giving their opinions, while others may find the self-deprecating humour and lack of formality to be a sign of rudeness. This is not the case. Their informality is how they show equality to their peers and new friends, so it’s a compliment if they call you ‘mate’ instead of ‘sir’. One law to be particularly mindful of when travelling in Sydney is their lockout laws. To minimise alcohol-induced fights, all venues within the CBD (Central Business District) aside from The Star Casino, lock their venues at 2am so no new clubbers can enter. This is followed by no alcoholic drinks being sold past 3:30am. Alcoholic shots, doubles, jugs, and premixed drinks are also unavailable for purchase after midnight. Make sure to use sunscreen every day in Sydney. The sun burns much faster down under, so check the UV rating each morning. If you are visiting in Winter, it will be cold. With Winter mornings sometimes as cold as 2 degrees Celsius, make sure to bring those extra sweaters! Consider the quarantine rules before packing your bags. Australian Customs are very tough on organic matter entering the country, so if you’re not sure about bringing a particular food item, don’t bring it. Maze Backpackers attracts guests from all over the world, including Japan and other countries right across Asia, Europe, North America and beyond. It’s fascinating to meet other travellers and learn about different countries, whilst experiencing an entirely different culture altogether in Australia. Make new friends you’ll have for a lifetime and create fun memories by taking the opportunity to stay with Maze Backpackers during your time in Sydney. Want additional information about one of the most renowned hostels in Sydney and book your stay? Book with Maze Backpackers today.